Fetal Alcohol Spectrum Disorder describes a group of conditions that can develop when someone has been exposed to alcohol in the womb. 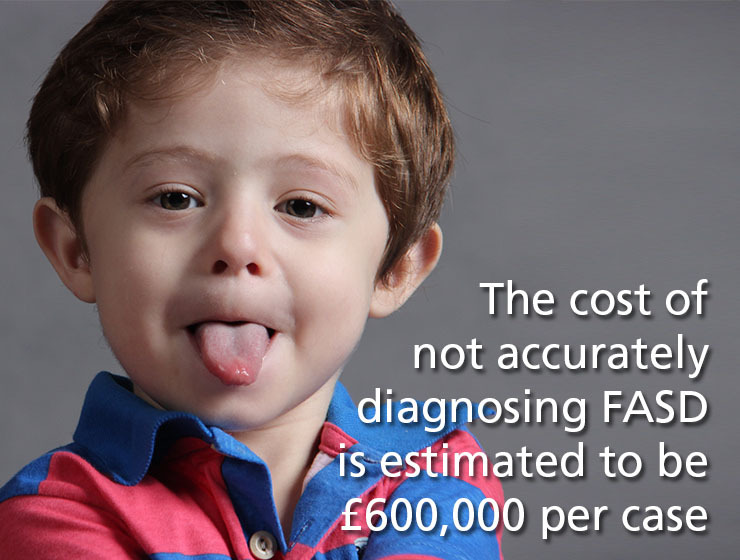 The spectrum includes a range of diagnoses including Alcohol Related Neurodevelopmental Disorder (ARND) and Fetal Alcohol Syndrome (FAS). Fetal Alcohol Syndrome was first reported by Jones and Smith in 1973. Prior to that Lemoine published a series of 127 cases in France highlighting the presentation of people exposed to alcohol whilst pregnant. The full syndrome is characterised by a combination of short height, impaired cognitive function and a specific facial malformation including short palpebral fissures (the opening between a person’s eye lids), flat or smooth philtrum (the ridge between our upper lip and nose) and thin upper lip vermilion. If a woman drinks alcohol during pregnancy the toxins in her blood pass to the foetus through the umbilical cord. This exposure to alcohol can cause physical, mental or behavioural damage to the baby. 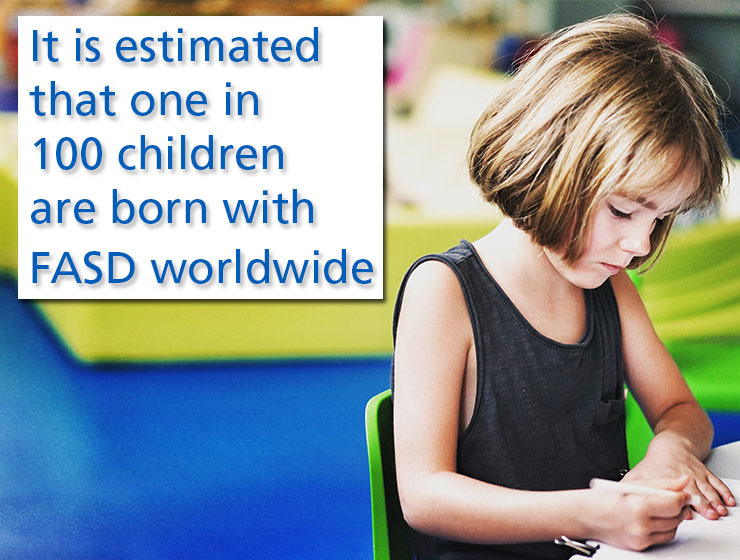 There is no cure for FASD but research shows that early intervention can improve a child’s development. Medication can help some symptoms and behaviour and education therapy can provide management techniques for other symptoms.